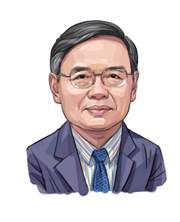 Member of the Presidium of the Academic Division of the Chinese Academy of Sciences (CAS), professor with Tsinghua University, former president of Nankai University, former director of the Institute of Biophysics, CAS. Rao has won many distinguished scientific awards including the Tan Kah Kee Science Award and Trieste Science Prize by the World Academy of Sciences. Since 2003, Rao has been elected as an academician of CAS, a fellow at the World Academy of Sciences, a professor with Hertford College, Oxford, a member of the International Eurasian Academy of Sciences, a corresponding fellow at the Royal Society of Edinburgh, and as an honorary doctor by Glasgow University and Hong Kong Baptist University. He also served as a member of the 7th and 8th Standing Committee of the China Science and Technology Association, as first rotating president of the Alliance of Life Science Societies, CAST, and as president of the International Union for Pure and Applied Biophysics (IUPAB) from 2014-2017. 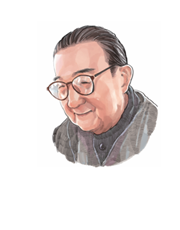 Experimental biologist, cell biologist, educator, one of the founders of China's cytology and embryology sciences and founder of biophysics research in China. 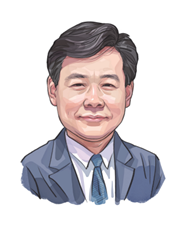 Pai was once director of the Biology Department and dean of the Faculty of Science at Zhejiang University, and director of the Institute of Experimental Biology, CAS. 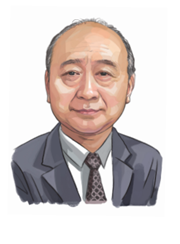 He founded the Institute of Biophysics, CAS and served as director, and also founded the Department of Biophysics at the University of Science and Technology of China and served as its director. He was former director of the teaching department at the CAS Graduate School of Biology, president of the Chinese Zoological Society, and president and honorary president of the BSC. Pai served as a deputy for the 1st to the 6th National People's Congress (NPC) and was member for the 3rd to the 6th NPC Standing Committee. He was also the deputy director of the editorial board at Encyclopedia of China and director of the editorial board at Biology Volume. Due to his long-term work at the scientific forefront and outstanding achievements, the University of Tuebingen, Germany, has awarded him honorary doctorate degrees four times. In 2003, upon the application by the China National Astronomical Observatory, the Minor Planet Center and the Committee for Small-Body Nomenclature named the number 36015 asteroid the "Shitsan Pai Star". Professor with the Institute of Biophysics, CAS. He was elected member of academic committee of CAS in 1980 and member of the World Academy of Sciences in 1985. Liang served as director of the Institute of Biophysics, CAS from 1983 to 1986, and as deputy director of the National Natural Science Foundation from 1986 to 1995, director of the Biology Department, Chinese Academy of Sciences from 1998 to 2002, and council member of the International Union for Pure and Applied Biophysics (IUPAB) from 1993 to 1999. He won awards including the Second Prize of State Natural Science Awards in 1982, Second Prize of State Natural Science Awards in 1989, First Prize in the CAS Natural Science Awards in 1987, and Second Prizes in the CAS Natural Science Awards in 1986 and 1992. 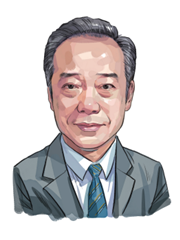 He also won the Wang Danping Science Award in 1992, the Ho Leung Ho Lee Prize in 1995, First Scientific and Technological Prize of Beijing in 2004, and the first Shitsan Pai Award from the Biophysical Society of China in 2009. Professor with the Institute of Biophysics, CAS. Wang served as director of the Institute of Biophysics, CAS from 1986 to 1998 while at the same time serving as president of the Biophysical Society of China from 1986 to 1990. He was director of the CAS Visual Information Processing Open Research Laboratory from 1988 to 1997. His research findings were published in the international journal Brain Research Reviews as the cover story. He has co-authored and co-translated four scientific books, among them the book Revelations from Nature, which won First Prize in National Excellent Scientific Education Works and Third Prize in the National Science and Technology Progress Awards. The book is also recommended as one of the best popular science books of the 20th century by Chinese scientists. He was a member of the editorial board for the international journal Visual Neuroscience from 1987 to 1989, and has been an advisor to the editorial board of the Journal of Comparative Physiology from 2006 until present. He has also served as judge for eight international academic journals including Science, and as a judge for the U.S. National Science Foundation. His other honors include Young Experts with Outstanding Contributions by China’s former Ministry of Personnel in 1988, Outstanding Popular Science Author in 1990, as a CAS Excellent Graduate Teacher in 1994 and 2002, as a National Outstanding Scientific and Technological Worker in 1997, a National Outstanding Doctoral Dissertation Instructor in 2000 and as an Outstanding Teacher at the CAS Graduate School in 2008. Professor with Tsinghua University. Director of Biomembrane and Membrane Bioengineering State Key Laboratory from 1991 to 1997, dean of the School of Life Sciences and Engineering, Tsinghua University from 1994 to 2003, dean of the School of Life Sciences and Medicine, Tsinghua University from 2004 to 2007, member of the State Council Academic Degrees Committee Assessment Panel for Biology from 1999 to 2003, executive member of the BSC from 1983 to 2006, vice president of the BSC from 1990 to 1998, president of the BSC from 1998 to 2006, member of the IUPAB from 1999 to 2005. Zhao was awarded First Prize in the State Education Commission Scientific and Technological Progress Awards in 1991 and Second Prize in 1997, and the Young Experts with Outstanding Contributions Award in 1990. He was selected as Beijing Outstanding Teacher in 1991 and 1997, and Beijing Advanced Worker in 2000. The textbook Biophysics, which he contributed to as co-editor-in-chief, won First Prize in Higher Education Excellent Textbooks in 2002. In 2006, he received an Outstanding Contribution Award from Tsinghua University. In 2008, he was elected a member of the International Eurasian Academy of Sciences. In 2003, he won the third Shitsan Pai Award from the Biophysical Society of China.